It’s no secret that the educational institutions of Flanders are chart-topping. It’s also a well-known fact that workers in Flanders are among the most loyal, productive and highly-skilled in the world. The quality of the education in Flanders is unparalleled compared to any neighboring countries, especially when it comes to mathematics and science. Learn more about the educational system in Flanders. Students come from across the globe to learn at Flanders’ five universities, which focus on sciences, management, technology and economics. The university colleges are integrated into the university system. They are responsible for applied education and advanced vocational training, and award bachelor’s diplomas only. To top it all off, Flanders’ management and business schools are among the world’s most competitive. Find out about Flanders' business and management schools. Flanders is the perfect place for productivity – which is why the workers of the region are the 4th most productive workforce in the world! It all has to do with the excellent business environment, high standard of living and other perks of the region that combine to generate a unique environment for success. Discover more about the productive workforce of Flanders. When it comes to qualities like multilingualism, education, loyalty and productivity, Flanders surpasses most European countries on all fronts. Compared to neighboring countries, citizens of Flanders score highest in reading and foreign language skills, as well as in creative problem solving. Flanders’ skilled workforce specializes in ICT, biotechnology and bioeconomics – with increasing numbers of students graduating in these fields each year. Get the facts about the multitalented workforce of Flanders. When it comes to hiring and shedding employees, Flanders makes these processes smooth and simple – much simpler than many of its neighbors. Its system of economic unemployment, flexible scheduling options, simplified right of dismissal process and employer benefits attached to shift and night work offer many advantages for companies operating in Flanders. It’s also a relative breeze to hire foreign employees in the region. 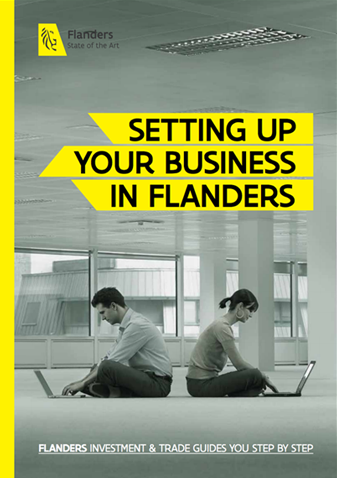 Discover more about the flexible labor system in Flanders.